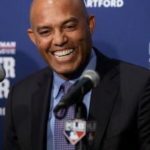 Baseball’s Hall of Fame announced its 2019 class on Tuesday with Mariano Rivera, Edgar Martinez, Mike Mussina, and Roy Halladay receiving the required 75 percent votes needed for induction. Rivera, who was baseball’s all-time saves leader, made history by becoming the first player to receive 100% of the votes. Ken Griffey Jr held the previous record with 99.32%. Saints fans are still outraged over the blown call in the NFC Championship game against the LA Rams on Sunday. One fan purchased billboards all over Atlanta (where the Super Bowl will be played) saying “SAINTS GOT ROBBED” and “NFL BLEAUX IT!” And, as of Tuesday, a New Orleans attorney, Frank J. D’Amico, filed a lawsuit against the NFL and Commissioner Roger Goodell demanding they enforce Rule 17, Section 2, Article 1 from the NFL rulebook which says,”The Commissioner has the sole authority to investigate and take appropriate disciplinary and/or corrective measures if any club action, non-participant interference, or calamity occurs in an NFL game which the Commissioner deems so extraordinarily unfair or outside the accepted tactics encountered in professional football that such action has a major effect on the result of the game.” Basically, the Commissioner could reverse the game’s results or demand the game is replayed. It’s HIGHLY unlikely any of this will happen, but the NFL could make some changes in officiating next season.